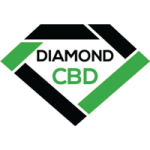 Diamond CBD offers their own product line of CBD oils, vaporizer solutions, CBD edibles, drinks, as well as special pens and other kits to help customers get the most out of all that these natural CBD products have to offer. Everything available from the Diamond CBD company is made and sourced in the United States from certified laboratories for the safety and protection of customers. Visitors will be able to save 30% off of all products through the end of January 2019 and those that sign up for a free email newsletter account with this company can save an extra 15% off their first purchase.